MountainCenter is supposed to bring the “NotificationCenter experience from OS X Mountain Lion to your iDevice.” If you’ve seen the beta test, you might have seen Apple’s demo of Mountain Lion’s Notification Center at WWDC. In Mountain Lion you essentially click on a little icon in corner of the status bar (or swipe on your track pad), and the Notifications Center pops out from the right hand side of the screen. MountainCenter allows you to swipe to make the Notification Center appear from the right side of the screen. The tweak also has the option to make the notifications pop-ups fill the entire length of screen on the iPad (you can get the same effect from the FREE standalone NCPad tweak), as well as options to adjust sensitivity and require multiple fingers to activate. What MountainCenter doesn’t do is bring in other features from the Mountain Lion version of Notifications Center. If, for some reason, you need to be able to open Notifications Center from the side of your screen, you can find MountainCenter in the BigBoss repository on Cydia. 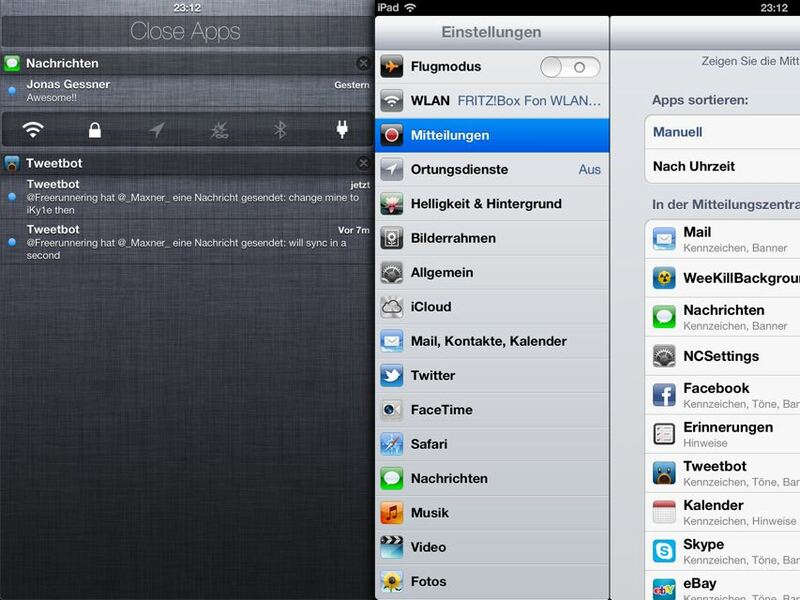 MountainCenter is compatible with both the iPhone and iPad. What desktop features would you like to see on iOS? Share your thoughts in the comments section below. I think 3 dollars for this thing is just asking for too much. Overall, It does not improve my ipad functionality, it only adds one small animation. 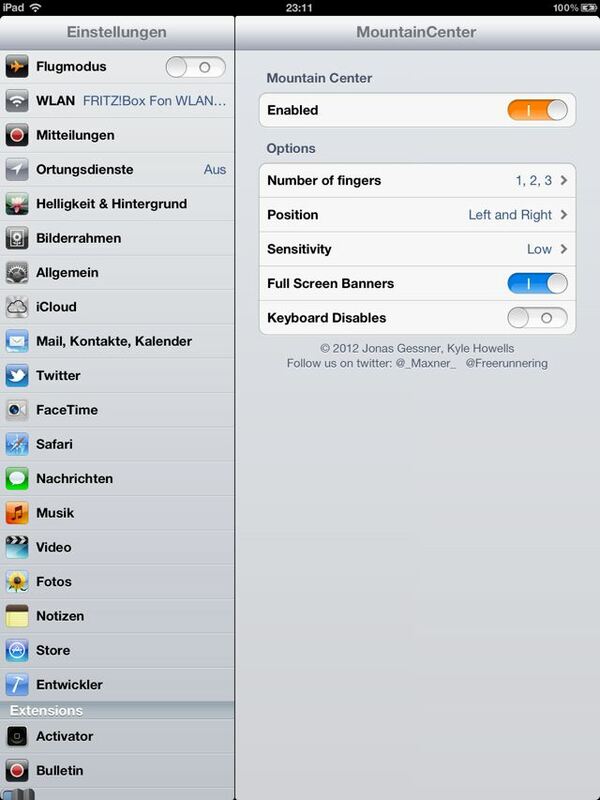 This tweak should be either free or 99 cents at max.